Figure 3.1 shows the sequence of insertion of the stained glass windows. Figure 3.1. The sequence of insertion of the stained glass windows. At the Cathedral’s consecration in 1887, sixteen windows had been inserted in the areas of the retro-quire, main transepts and baptistry. A further fourteen windows were inserted in these areas between 1887 and 1897 when building was suspended. As the nave and central tower neared completion in 1902, the number of donors increased and twenty-nine windows were inserted by 1908. By then, the remaining windows of the quire aisles and transepts were all in place, as well as the west end and most of the nave aisle windows. By the time of the completion of the western towers and the Benediction of the complete cathedral in 1910, only eight windows of the new cathedral remained in plain glass. This excluded the clerestory lights and the north quire transept, all of which remain as plain glass today. With the insertion of a further six nave windows by 1913 all the current windows of the cathedral were in place except for north nave aisle windows n28 and n29, which were not inserted until 1938. Similarly all the stained windows of St Mary’s aisle were in place by 1908 except for the right light of SMs8, which was not finally inserted until 1959. Two windows of this aisle remain as plain glass to this day. The extent of this amazingly ambitious scheme is shown in Figure 3.2 which is based on the final version of the Scheme of 1902. It shows how the persons chosen to represent the development of the Christian Church Christ were distributed over the nineteen centuries from the commission to Peter to the laying of the Truro foundation stone. For this analysis, all the persons in the Scheme are located in their most appropriate century and their geographical area. Figure 3.2. The temporal and geographical distribution of persons in the Scheme of 1902. Series 1 Palestine and Jerusalem. Series 2 The Latin and Western Church. Series 3 The Greek and Eastern Church. Series 4 The English Church. Series 5 The Cornish Church. 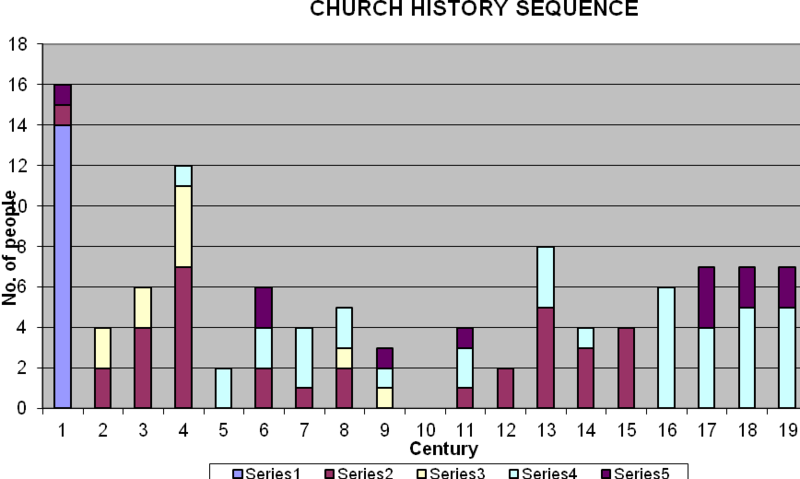 Figure 3.2 illustrates how Mason combined the representatives of the development of Christianity into one chronological narrative. It also shows how the geographical focus changed over time: how firstly the Church in the Holy Land, then the Eastern Church and later, after the Reformation, the Latin Western Church gradually gave way in the sequence to the development of the post-Reformation Church of England and the Church in Cornwall, with its culmination in the foundation of Truro Cathedral. Only one window of the Church History sequence, s2, was in place for the consecration in 1887, and progress was slow in the following years: n2 in 1888, n3 in 1889 and n11, s3 and s4 in 1891 and finally n23 in 1895. From then onwards there is very little direct evidence of Chapter involvement other than formalising decisions that had been made between Mason and Chancellor Worlledge. For example, Clayton and Bell wrote to Chancellor Worlledge in 1902 about placement of the order for windows n24–5, n34 and s24:- As soon as we are in receipt of the formal order we can approach Canon Mason upon the subject and ask for any suggestions he may wish to make for our guidance. 95 Similarly, after John Loughborough Pearson’s death in 1897, the only references to his son Frank’s involvement are that window and statuary designs were sent to him for approval after Mason’s contribution. Before considering the changes to the scheme in detail, this is perhaps the place to identify the role played by a third member of Mason’s circle. In his obituary to Richard Clayton in 1913, Canon Worlledge referred to William Collins, Bishop of Gibraltar, as an important figure in the formation of the Master Scheme.98 William Collins spent part of his boyhood years in Truro, where Mason prepared him for confirmation in 1879.99 Mason was also responsible for securing Collins’ admission to Selwyn College in 1884, and in 1889 he examined Collins for his scholarship in Ecclesiastical History.100 Collins served as curate at All Hallows Barking with Mason, where he was based at Mason’s London address of 7 Trinity Square. When he was only 26 years old Collins was appointed Professor of Ecclesiastical History at King’s College, London. 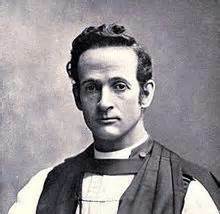 On returning to London in 1893, William Collins’ connection with All Hallows Barking was resumed.101 He was again licensed to the church and was a resident member of the house in Trinity Square.102 It was to remain his base until his appointment as Bishop of Gibraltar ten years later. Collins and Mason thus had a deep professional relationship and were together in London when the 1887 Master Scheme was extensively modified. This was the reason why Worlledge included Collins as one of those closely involved in the formulation and modification of the Church History sequence. Sadly, Collins died an early death, and he was commemorated in s16–17, the last of Truro’s windows to be inserted before 1914 and the last to be supervised by his mentor, Canon Mason. The extent of the changes is revealed in the pie-chart in Figure 3.3. Forty-four (40%) were eventually inserted in their positions designated in the 1887 Scheme. A further forty-two (38%) were inserted but moved to a different position to that indicated in the 1887 Scheme. Twenty-four subjects (22%) were deleted from the 1887 Scheme and replaced by new subjects. Full details of these modifications are in Appendix 2. It is significant that in this letter Mason refers to my original scheme [author’s emphasis]: thus within three years of the publication of the Master Scheme, Mason had already claimed ownership of it. It is also significant that as early as 1890 Mason was by-passing the Cathedral Chapter and dealing directly with Worlledge. He felt that, in the north quire aisle, the crisis of the conversion of the Empire need more recognition. 106 So he proposed cutting out the designated n12 (Jerome, Ephraim Syrus and Leo) and inserting a new n9 of Helena attended by Origen and St Athanase, with the Invention of the Cross as the predella. The subjects of remaining three lancets in the Master Scheme were all moved to a position one light westwards. This proved to be the only major modification of the subjects in the 1887 Master Scheme for the whole of the retro-quire, quire aisles and the north transept: there were two subsequent minor changes to the details of two predellas. Although seven of the north quire and transept windows remained to be filled in 1896, Mason was obviously satisfied that, with the changes that he had made in 1890, no further modifications were necessary to the Scheme in the part of the cathedral that was already built. In addition to the quire and transepts, the first two bays of the nave had been built by 1887 for structural reasons before construction ceased, and this enabled the Chirgwin memorial window n23 to be inserted in 1895 (Chapter 12). It was to the remaining eighteen lancets in the nave that Mason turned his attention in 1896, resulting in his presentation to Chapter of a new version of the Master Scheme. His correspondence with Worlledge gives a marvellous insight into his attempts to maintain the overarching framework for the nave Scheme, whilst at the same time producing a theological and historic coherence to the group of three figures in each individual lancet. One invaluable feature of his 1896 scheme is that it is the only example in any of Mason’s drafts where his principles underlying the grouping of the three subjects in each lancet are explicit. Mason refers to them as ‘speaking groups’, and it is obvious that it was Mason’s intention (and Benson’s) that each window should be interpreted as a coherent grouping in its own right as well as being part of a multi-layered chronological sequence. Comparison between the 1887 Master Scheme and the 1896 modifications108 reveals a number of the subjects were changed and new figures added. It cannot be a coincidence that discussions over these changes took place when William Collins, Professor of Ecclesiastical History, was at Mason’s old London residence in the summer of 1895. In many respects such discussions must have been similar to those of Benson and Mason in Truro fifteen years earlier when the Master Scheme was in its earliest stages.109 (For the following summary, the original spellings of names in the 1887 Master Scheme have been retained). In the pre-Reformation windows St Aldhelm was replaced by Kenstec; Alexander Newski by Joan of Arc; Thomas Canterbury and Hugh of Lincoln by Edward Ⅰ and Bishop Grosseteste; Bishop Fisher by Thomas More; John Trevisa by Wycliffe and St Theresa by Fenalon. The reasons for these changes will be discussed when each window is analysed in detail (Chapter 12). If this is not done, I should then propose to limit the later windows to (solely) English figures. I think the companying list will explain itself, and I should like to have your opinion upon it. His new draft of the post-Reformation windows shows his preference for the inclusion of foreign Protestant figures: Las Casas is replaced by Schwartz, Carlo Borremeo with Casulson, whilst Palestrina and Handel were included in place of Cowper and Keble. One nave lancet group now included Charles Ⅰ: In one instance I thought we were wrong in Cornwall to exclude Charles Ⅰ, though he is not a favourite of mine. 111 These changes remained as a draft on Chapter’s table, and the matter lapsed until the nave was nearing its finished state in 1901–2, when the need for a final decision on the nave scheme was imperative. After the Chirgwin memorial window n23 had been inserted in 1895, no further window insertions were possible in the nave during the second phase of cathedral building between 1898 and 1903. However, during this period all the remaining windows of the north quire aisle and the north transept were inserted according to the modified scheme of 1896. Also the six lancets beneath the north transept rose window were inserted following Mason’s suggestions of an extension of the genealogical scheme (Chapter 5). Based on these important principles, the new draft113 which was sent on 9th January 1902 still included the earlier St Hilda group in s16. The main innovation was the insertion of a Queen Victoria window at n33 next to the final Benson window in the sequence. The positioning of the Wesley window was obviously a matter of delicacy (s24 in Chapter 12). The draft of 9th January is written in Mason’s hand with Worlledge’s added alterations, and affords a fascinating insight into the relationship between the two. It was Worlledge’s suggestion to remove the St Hilda group from s16. This necessitated moving a number of windows from their proposed position in one aisle to the other, but the final chronology and broad outline of the nave Scheme was now in place. 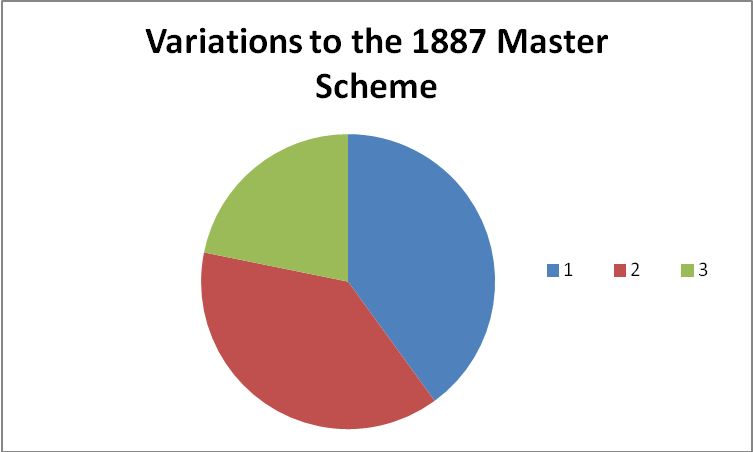 With the death of Queen Victoria and the birth of a new century, Mason obviously felt that the nineteenth century was under-represented in the original Master Scheme. An interesting alternative for the Henry Martyn lancet n31 was to remove Keble and Maurice— I propose to place Livingstone and Selwyn. The three would represent, with picturesque variety, the expansion of England and of the Church of England—India, Africa and New Zealand. 116 Worlledge’s written addition showed that to have a whole lancet devoted to nineteenth-century missionaries did not meet with either his or Chapter’s approval (n31 in Chapter 12). Another discussion took place over the Queen Victoria window (n33 in Chapter 12). Further discussions must have ensued, for another draft 118 entitled ‘finally revised list 25th March 1902’ showed that Keble and Maurice were retained in the Martyn window and Livingstone and Gordon were now the other components of the Queen Victorian ‘speaking group’. Catherine of Siena had been swapped for Innocent Ⅲ from the Dante window s19 to the Joan of Arc window n27, where Joan was now the main figure. Thomas à Kempis was now the main figure in s20 and John Huss became one of the subsidiary subjects. This was the ‘final version’119 which Revd AB Donaldson printed in his volume celebrating the first twenty-five years of the Diocese.120 There are however a number of inaccuracies in his version of the Master Scheme, suggesting that his revision of the original 1887 version was done without due care and attention. For example, the north transept rose N13 still contains nine Old Testament figures that were not included in the final glazing in 1887 (Chapter 4) and the southeast quire transept S4 still referred to the inclusion of the Annunciation to the Shepherds which had been discarded in 1897 (Chapter 7). Livingstone and Gordon were still listed for the Victorian window. This letter in its entirety illustrates the easy collaborative relationship that had been built up between the two over more than fifteen years when so many aspects of the cathedral’s fixtures and fittings were decided. This is all the more remarkable considering that Mason rarely visited Truro after 1890, being resident either in London, Canterbury or Cambridge for all this time. It is surely fitting that the memorial brasses to Mason and Worlledge are side by side in the south quire aisle. The Church Times 2nd November 1887. CCRO TCM/1134 Executive Committee minutes 10th November 1890. CCRO TCM/546/6 Letter 4th July, 1902 from Clayton & Bell (311. Regent St., London) to Chancellor Worlledge. Memorial brasses to both of them are side by side under window s3 in the south quire aisle. H Keast The Catholic Revival in Cornwall 1833–1983 , Helston, 1984, p. 9. NCA DD/716/69/5 and 6 Canon Mason’s diaries: there are over twenty references to William Collins between 1889 and 1892. CCRO TCM 1049/3 Letter from Canon Mason 25th June 1896 (Canterbury) to Chancellor Worlledge. CCRO TCM/1134 and TCM/546 correspondence dated 1890–6 and 1902. CCRO TCM 1049/3 Letter from Canon Mason 25th June 1896 (Canterbury) to Chancellor Worlledge and CCRO TCM 1134/10 undated list with Worlledge’s pencilled comments. NCA DD/716/75 Letters from Bishop Benson to Canon Mason /91 (1881) and /113 (12th December 1882). CCRO TCM/1049/3 Letter from Canon Mason 25th June 1896 (Canterbury) to Chancellor Worlledge. CCRO TCM 546/1 Letter 5th January 1902 from Canon Mason (The Precincts, Canterbury) to Chancellor Worlledge. CCRO TCM 546/2 Letter 9th January 1902 Letter from Canon Mason (The Precincts, Canterbury) to Chancellor Worlledge. CCRO TCM 546/3 Letter 28th January 1902 from Canon Mason (32. Jesus Lane, Cambridge) to Chancellor Worlledge. ABD: Appendix Ⅴ, pp. 387–396. CCRO TCM/434 Cathedral Local building minutes 11/4/1903—suggestion made to the donor of a proposed outdoor pulpit that the donation should be for Victoria window instead: agreed by donor. CCRO TCM/436 Executive Committee minutes 11th July 1903, window in place. CCRO TCM525 Minutes of the Executive sub-committee on statuary, 1st June 1902. CCRO TCM525 Minutes of the Executive sub-committee on statuary, 1st June 1902. CCRO TCM546/4 Letter 7/4/1902 from Canon Mason (The Precincts, Canterbury) to Chancellor Worlledge. CCRO TCM/919 Letter from Mason to Chancellor Worlledge 1st April 1904.